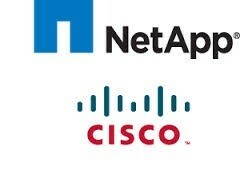 The two companies Net App (NTAP) and Cisco (CSCO) announced that they had widened the Flex Pod portfolio. It was now a combined infrastructure of computation, network systems as well as storage. The Flex Pod solution portfolio is converted into a single and flexible architecture of Unified Computing System Servers of Cisco, Storage systems of Net App and Cisco Nexus fabric. The two companies Net App (NTAP) and Cisco (CSCO) have enhanced the Flex Pod portfolio by introducing new solutions which integrate the latest state of art and best in class technologies from both the Companies and made the Flex Pod easier to use. Flex Pod Select: The Flex Pod Select is the initial line in the family of the Flex Pod portfolio used to deal with targeted workloads. It is a combination of Cisco UCS C series servers, Cisco Nexus switches, Cisco management software , NetApp E- series and FAS storage systems put together to develop an architecture which would reduce time to insight and speed up time to value. The new Flex Pod Select is meant for rigorous data workloads. Flex Pod Select is the first solution in the Flex Pod portfolio which features the patented NetApp E Series platform. It provides enhanced performance, modular flexibility and density for a huge bandwidth of workload which is bombarded and overloaded with data. Both the above configurations allow the speedy operation of extremely accessible enterprise class Hadoop environment on the Flex Pod Select architecture. Flex Pod Datacenter: It is introduced especially for the core enterprise data centers and also the service providers. It features the Cisco Nexus 7000 Series Switch. The Cisco Nexus 7000 Series provides the uppermost levels of network availability and also provides nonstop operations. It also provides the highest density 10 Gigabit Ethernet System to the Flex Pod platform which is a leading scale in the industry and also which supports up to 76810 Gigabit Ethernet ports. The Cisco Nexus 7000 Flex Pod configuration also allows end to end fiber Channel over the Ethernet (FCoE) and thus giving a unified Ethernet fabric and providing DCI capabilities for multi data center work allocations. Flex Pod Express: It is designed for medium sized businesses and branch offices. Flex Pod systems are tested and validated in order to increase IT efficiency and decrease the risk. NetApp has put in some extra key features like the NetApp FlexCones, NetApp storage and the Native NetApp storage. NetApp FlexCones: This allows the users to create virtual copies of databases and using less of incremental storage. By recreating these clones and quickly deleting older copies, the users can test speeds. NetApp storage: It ensures very easy balance of large volumes of load. With validated hardware, the performance is also very much enhanced. Native NetApp storage: Integration with native Oracle technologies like the Recovery Manager and Direct NFS client ensures excellent performance. About Author: Grace Smith is a professional freelance writer that focuses mainly on Internet marketing for different businesses. She is also a blog marketing expert and is really into social media networking.She enjoys helping people as a copywriter and marketer and is always excited about learning about a different niche industry. Nice article and good informative also.